I had to get this necklace for my daughter. Those words were words I had expressed to her while she was growing up. She cried when she read them, and she absolutely loves it! Beautiful job!!!! I am very happy with the service and my daughther was so happy To received it just before Christmas ... very Nice product ! Thanks again and happy new year for all of you !!!! it was beautiful, perferct words to let my daughter know I will always be with her. 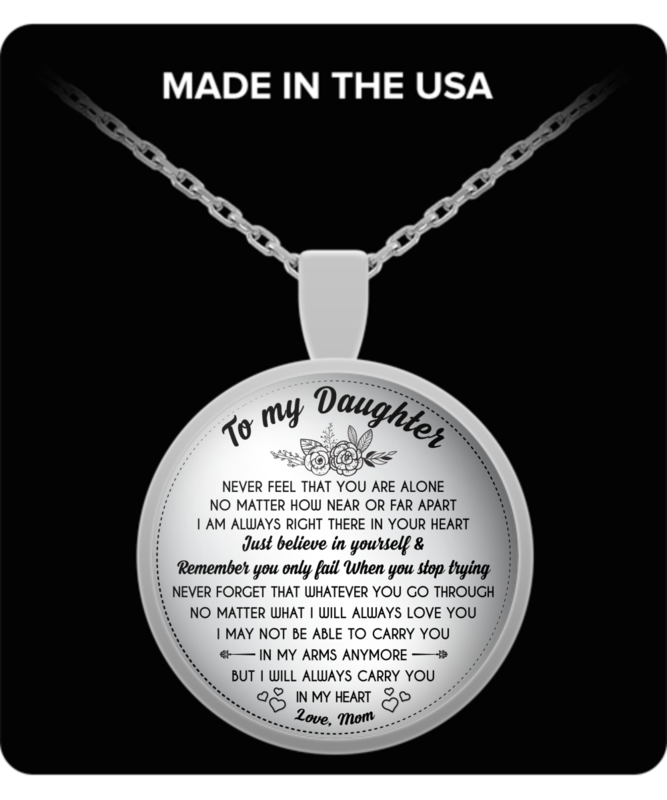 Love the daughter necklace. It says exactly how I feel about my daughter. Just wish it was a little larger so it could be read more easily!